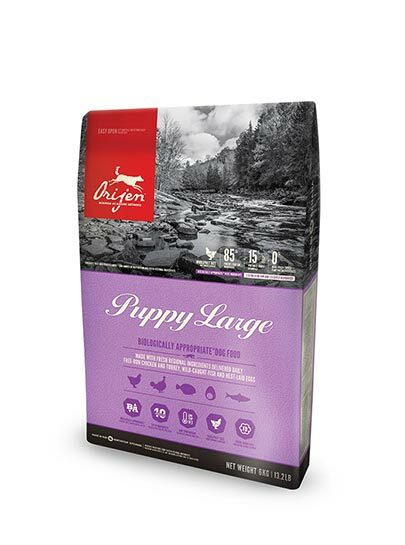 Nutrient-dense WholePrey™ ratios of fresh meat, organs and cartilage plus whole fish and whole eggs provide a natural source of virtually every nutrient your dog needs. 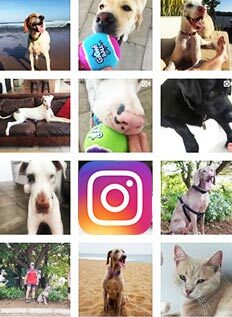 In nature there are no synthetic supplements, so dogs and wolves derive their complete nutritional needs naturally by consuming whole animals which contain all of the nutrients they need to thrive. 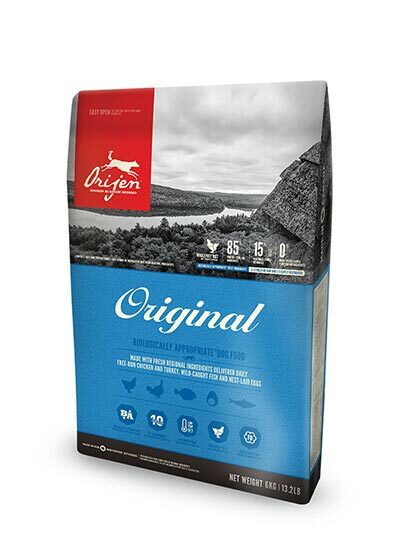 That’s why you won’t find long lists of synthetics in ORIJEN dog foods. 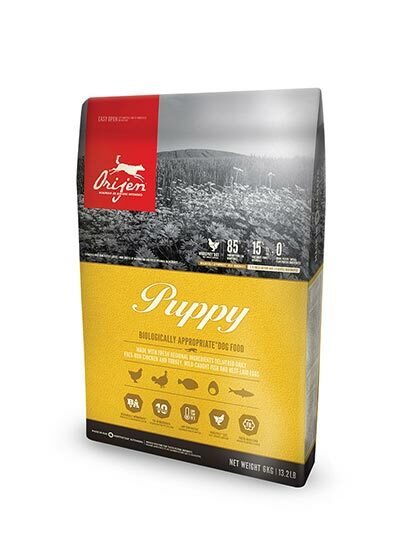 Loaded with richly nourishing ratios of fresh poultry, organs and cartilage plus fresh whole fish and whole eggs, ORIJEN provides a natural source of virtually every nutrient your dog needs to thrive. Want your Orijen food delivered to your door on a regular basis? 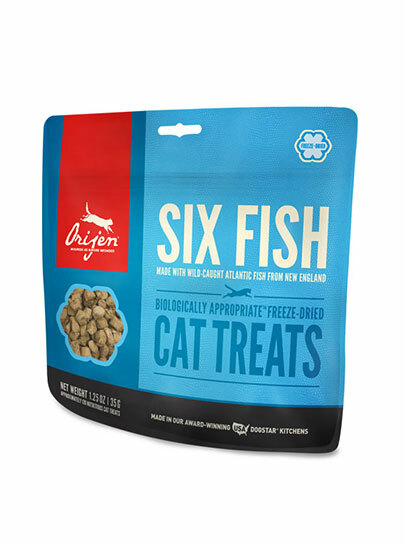 Delicious and nutritious taste that your cat will absolutely love. 100% fish, 100% natural. 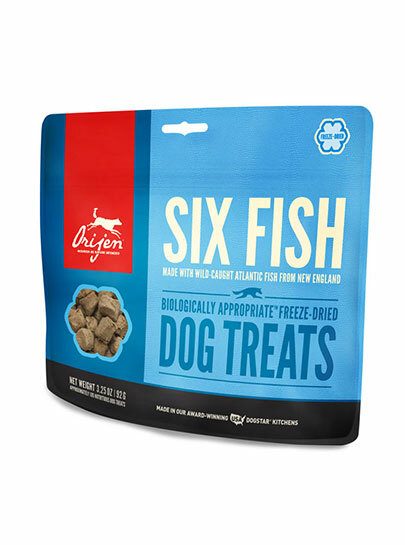 Our fish are delivered FRESH (refrigerated, without preservatives) or RAW (flash-frozen, without preservatives), then gently freeze-dried. 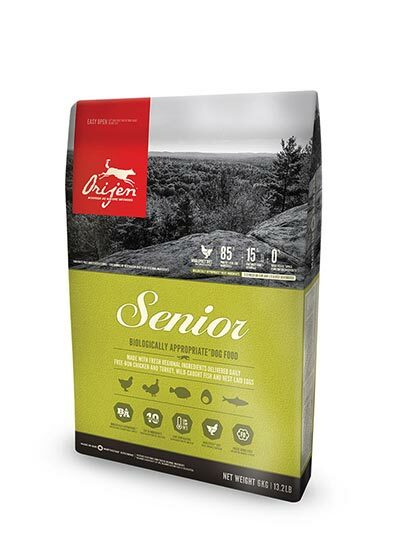 Nutrient-dense WholePrey™ ratios of fresh whole meat, organs, and bones provide a natural source of virtually every nutrient your cat needs to thrive. 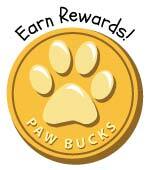 Delicious and nutritious taste that your dog will absolutely love.